For a while now Verizon Wireless has been the only game in town where I live. Back in the day, I tried T-Mobile and AT&T and their networks weren’t mature enough at the time to compete from a voice and 3G data standpoint. Then of course came the 4G LTE tech and the data usage explosion, which only widened the gap between Verizon and their competition even further. By the time both other major companies (no one really uses Sprint anymore, do they?) leveraged enough funds to increase their network infrastructure, I was already happy with my grandfathered unlimited 3G to 4G data plan. I mean, come on…unlimited is unlimited, right? And then came the real deciding factor – both AT&T and Verizon decided to stop offering unlimited data packages in favor of tiered data, and my choice was made for me: if I wanted to keep my existing unlimited data plan, I was going to be on Verizon for the foreseeable future. Those like me who revel in their unlimited data plans are something of a dying breed, and many choose to leave Verizon rather than pay full price for new phones and keep their plans. Others find ways to make it work, using a variety of tricks to beat the system and get their phones at a subsidized price while holding onto their unlimited data with a death grip. And while Verizon hasn’t closed down all of these loopholes (yet) they surely don’t make it easy for you or allow you to go back once a change has been made. This is why it came as such as surprise when on the weekend of 09/27/13, a computer glitch with Verizon’s online system was discovered which allowed users to upgrade their phones and KEEP their unlimited 4G LTE data plan – for another 2 years. This wasn’t supposed to be possible, but here it was. At first it was one report, then another, and another, and then floods of people were confirming that it was true via most of the major tech blogs and website. Loads of folks took advantage; most with the expectation that at some point the error would be discovered and subsequently cancelled – sending things back to the way they were before. Only they didn’t. And when on 09/30/13 Verizon released a statement saying they would honor the upgrades and allow the users to keep their unlimited plans, the surprise transformed to jaw dropping shock. But, as always…when something sounds too good to be true, it usually is. Some users went to stores and got their phones without trouble, some went and had to escalate to a manager, using internet links as proof, still others got flat out denied. Most of these latter and many of those who ordered online were being forced onto 2GB data plans, which (of course) defeated the purpose of upgrading and keeping unlimited data to begin with. Some Note 3 pre-orders arrived with the 2GB changes on the invoice, and Sean was one of these – but after talking to a rep, he got back his unlimited and got a $90 credit as well; not too shabby. The moral of this story; any company as large as Verizon is going to have a hard time communicating any policy exceptions to everyone. Even if those policy exceptions are a result of their own error. And herein is the source of the so-called “hate” that many of us, and I put myself on that list, feel towards the nations largest wireless carrier. We want them to be something more than what they actually are: which is a publicly traded company that is always going to put its profits before its customers. We want them to understand our needs as consumers, empathize with our desire to want the best phones on the best network, and reward us for our loyalty over the years (for me, its been over 10 years) and give us a little something back. Instead, time and again, they make baffling business decisions and consistently choose the path that leads towards increased profits and away from consumer interests. I love my G2, and I love having unlimited data with it. But when (and not if) the time comes for Verizon to finally take away my unlimited data, I’ll be sure to return them the same loyalty they’ve shown to me all these years – none at all. The latest rumors are in – and its BIG folks…get it? The latest phablet superphone is coming, and allegedly soon. 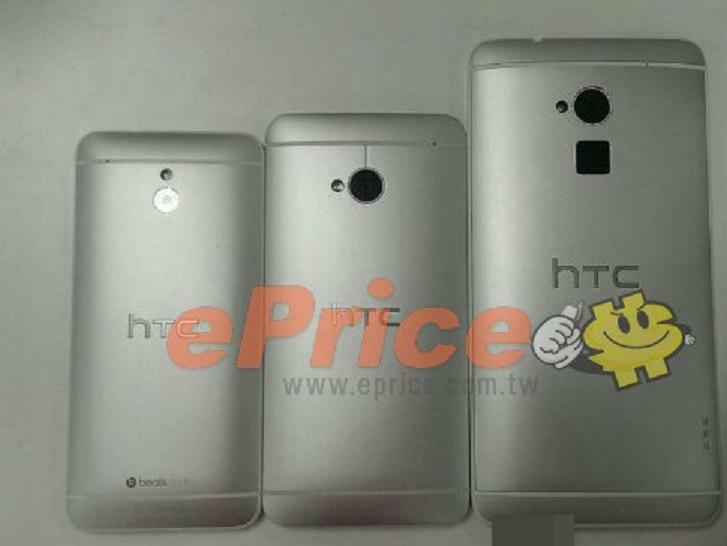 HTC seems poised to launch the XL version of their very well reviewed HTC One device on October 15th. As this is just a few days away, we should be able to confirm or deny this very, very soon. Invitations have been sent out, to multiple international regions, and (according to translation of a Chinese site) the actual announcement date will be the 15th. Anyone (other than Sean of course!) looking forward to making this their next smartphone phablet purchase? See some of the leaked photos below. We appreciate everyone taking the time to read our site. We welcome comments as well – if you want the scoop on a smartphone or other device, or just want to get some more info on an article, feel free to comment and we’ll do our best to answer your questions. While not a new device, and not technically a “smartdevice,” I did want to give my thoughts on the Pill wireless speaker from Beats by Dre. This was a recent gift and something I’d had high on my wishlist for a while now. If you are in the market for something like this (or if you aren’t now, you may be soon) and want to know how it works, what it does, and whether its worth its $199 pricetag (on sale now for $179! ), read on! What in the world is this funky looking thing? I’m glad you asked…Beats by Dre (the company owned and founded in part by hip hop legend Dr. Dre) has produced a wireless bluetooth speaker they have called (appropriately enough) the Pill. It functions as a wireless speaker for your Android/iPod/iPhone device, to not only listen to music but also take and make phone calls too. I own a pair of headphones from Beats by Dre and I love them, so when I wanted something small and portable to play music in multiple different locations (the park, the beach, random birthdays and bar mitzvahs), I gave this a look. As I was to celebrate a recent birthday, this went on the wishlist and the wife delivered. Lucky me! It ain’t called the Pill for nothing. It’s….well, shaped like a pill. Oblong and oval, its very much like its namesake. It comes in a variety of wild and outlandish colors, but I went with a staple in black. The front is a grill which is broken up by a matte finish band, which houses the control buttons and the ever present Beats logo. The logo lights up while in use, making it fun to use during day or night activities. The backside is made up of more of this matte finish, and its got a little rubber “foot” that runs the length of the bottom, allowing it to remain steady on any flat surface. From an aesthetic, it’s really, really cool looking. I’m not going to lie – this is half of its appeal. But beyond that, its smaller than you’d think, but this makes it very portable and easy to set up. The USB charging cable plugs into the port on the back, and is surrounded by a colored LED that’s red when charging, and green when its fully charged. Pretty nifty! Everything about this device says “solid.” Its heavy when you first pick it up, and you “wow – this thing is well built.” And it is. Aside from the paint itself (which may or may not get chipped, depending on your usage) this device feels like it could take the day to day grind with ease. The included carrying case is soft touch, black like the speaker itself, and completely encases the Pill during transport. The only down side here is the case fits only the device, not the AC adapter or cable, meaning you got to lug those along separate from the speaker. A minor quibble, but one that you’d want to be aware of before you take it to a party and leave the accessories behind because you forgot them. I was looking for something small, portable, and that packed a solidly loud punch to be heard over large, empty spaces like outdoor parks, or even the inside of homes. And the Pill certainly hits the marks for all these areas. Its plenty loud, easy to transport, and sets up like a cinch. Simply turn on the bluetooth connection for your phone/iPod, turn on the Pill, wait for the audio tone that indicates you are paired, and play music. Its that simple. The audio tones for the Pill can be a little unusual at first (especially when you first power on the device, its a little like an air raid siren going off) but once its up and running the quality of the music more than makes up for these little quirky things. The sound is crips, mids and lows come through clean, and while the bass is noticeably missing from bass heavy tracks, its not gone altogether. Hip hop and rap enthusiasts could feel like their favorite songs are missing that punch, which seems odd from a Beats branded device, but the overall quality of most other types of music is more than acceptable. I’ve used it with both my G2 and iPod touch, and have had great results with both. I took it to the park on a day when we did an impromptu BBQ, and threw it up on a bench and got it going in under 1 minute. The music was loud enough and clear enough for me to sing along with, even over the sounds of the general public, and when it was time to leave, I simply threw it in the outer pocket of my backpack and had music on the go while we walked back to the cars. Bluetooth range can be spotty (mostly noticeable on my iPod after the upgrade to iOS 7, but after the initial pairing the range issues seemed to have mostly gone away. My G2 plays both music and speakerphone calls (yes, you can use the Pill as a portable speakerphone) quite well, and my only beef is when streaming video to my phone and using the Pill as an external speak, the battery drain is quite significant (probably no real surprise) The battery is rated at between 4-5 hours off a single charge, and while I’d say this was a little high, I got 3 hours easily off one charge. Pretty good for its size. The Pill comes in a wide variety of colors to please almost any palate or interior decorator, a few of my favorites (aside from black) are the silver and neon green – eye catching design and colors make these winners in my book. The Pill from Beats by Dre is exactly what I was looking for. Its small, well built, plays a variety of music types loud and clear, can be used as an external audio device for just about anything with bluetooth, doubles as a speakerphone (for my spur of the moment business meetings) and while its not the cheapest device of its kind, won’t break your wallet either. And the design touches make up for a bit of the cost in my opinion. There’s a link at the top, showing the Pill as of the time of this writing on sale for $179 – if you’ve been on the fence about this device, and/or didn’t know you needed one of these things until now, give the Pill a try. It might be just what the “doctor” ordered. At long last – the search is over. Many of you will recall that I lamented over the lack of phone choices to replace my Galaxy Nexus (see the article here ) but I lament no more! I have taken the plunge and purchased the G2 from LG, and honestly, I couldn’t be happier. What the heck? you may ask – as this device was on the short list of possibles and was discarded as being unsuitable for my needs. Well – no one is happier to be proven wrong than me. Let’s take a closer and more in depth look at how LG’s newest flagship smartphone won me over. Where to begin? I despaired of ever finding a new phone that would meet my (admittedly) high standards and needs…but after a string of curious events, I was pulled – nay – destined to purchase the G2. In a nutshell, here’s how it went down: several friends were also in the market for new phones, so Sean and I were constantly talking and then looking over the latest and greatest in the smartphone game. One day, while out and about, one of these friends picked up an HTC One for a song – the short time I spent looking over the One pretty much sold me on it. During this time, the good folks over at XDA Developers had found a way to (in essence) unlock the One to make it rootable and also flash custom ROMs to it (one of my requisites) The only thing that held me up was I really, really wanted it in black. So I waited…during this time a quick side trip to a Verizon store after the G2s release really had me drooling over its beautiful screen and quad-core power – it was at that point that I hoped the G2 would get some development ported to it. About a week after this Verizon visit, word on XDA popped up that first a rooting method, and then the ability to bypass the bootloader altogether (via a patch called “Loki”) was in the works for the G2 potentially making it a “superphone” – latest and greatest specs mated with a custom ROM that could take full advantage. The decision was basically made for me – I went out that very night and purchased the G2 from Verizon. Yeah – on paper this bad boy will pretty much destroy any other phone currently out there. LG has done a great job of putting together some fantastic hardware. 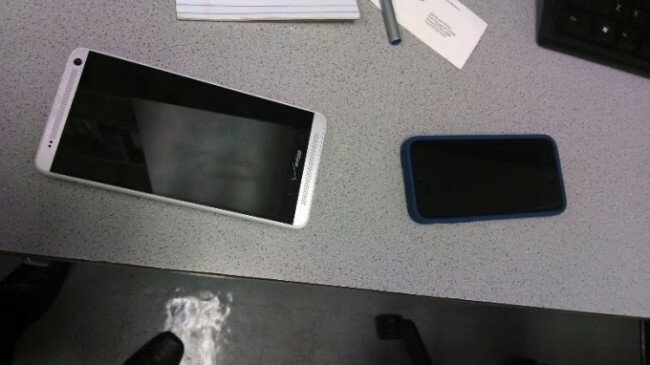 One of the reasons the screen is so large and has so little bezel was the design choice to move the physical control buttons (power, volume up/down) to the rear of the phone (as seen in the picture) Some may argue this is too radical a departure from modern design to work – honestly, it hasn’t bothered me at all. It took a day or two to get used to…and that’s it. You might remember, I was looking primarily for something that had a large, nice looking display. And LG crushed it with the 5.2″ display that’s on the G2. Say what you want about the back buttons, but if it really allowed for this IPS LCD to show up in this phone, then I’m all for it. Watching anything from Youtube videos to streamed TV and movies is a genuine pleasure to do. I told someone just yesterday it’s exactly like walking around with a 5″ high def TV in my pocket. And that’s a good thing. The look and feel in hand is good; it actually feels smaller than a 5.2″ display phone should. The only flaw in the whole design in the back, and here it is pretty awful. The back plastic panel collects fingerprints, dust, pocket lint, and also small rocks. You get the idea. The good news is a case will do the trick for this problem, and I chose the Incipio Feather Case in grey, and its perfect. Problem solved. The quad core processor is blazing fast…there’s nothing it hasn’t been able to do for me with lightning fast speed. I’m not much of a gamer (Angry Birds, Stupid Zombies, and Alchemy are about as far as I go) but the GPU renders smoothly and quickly. And as mentioned, TV and other video is sharp, clean, and stutter-free. And for streaming, with LTE speeds, this really makes a huge difference in your real life day-to-day usage. While not loaded with stock Android, as I’d wished for, the LG UI skin really isn’t so bad. Many of the the UI’s features are usable, and actually helpful. The toggles in the notification shade are placed well, the Samsung-esqe additions (smart screen and such) can be turned off if unwanted, and within a few minutes, I found myself with a very different experience than what comes right out of the box. Many of the “busy” features included might take a little time to warm up to, but better to have them than not I say. Let’s talk about that battery – its awesome. As my esteemed colleague noted in one of his articles, it really is all about the battery. The 3000mah beast can last for 2 days off one charge, if you have light to moderate usage (and I’ve actually done this already) – one full day on an LTE connection the whole time is easily done (a not unimpressive feat) No one cares how awesome your smartphone is unless it works, and it’s not going to work if you don’t have juice. And the G2 has got the juice, for sure. The rear camera is pretty impressive as well, if only slightly less so than the battery life. Most other sites reviewing the phone have thrown out things like “best Android camera ever” and “above average camera with next generation technology.” These pretty much sum up my experience so far. The camera is really, really good. Are you going to ditch your DSLR anytime soon? No…but maybe you can leave it home more often if you have the G2 with you. As for the rest…well suffice it to say that because the “Loki” patch works, I’ve already been able to root the device, push out a custom recovery, which then allowed me to wipe the phone and flash a custom ROM. All this technical geekery really means is that, much like my beloved Galaxy Nexus, I can take advantage of the hard work and dedication of the ROM development community. And from early returns, it looks like the future in that area is going to be very, very bright. Even my wife is a little jealous, and I have a feeling we’ll be getting her one of them pretty soon too. Great screen, unbelievably fast, and lasts a whole day and more. I guess the final word here is that if you love mobile phone tech (as much as I do), and you are into tinkering with your device (like I am), then it doesn’t get too much better than the G2 from LG. The better news is that even if you aren’t like me, I have a feeling you’d probably like the G2 as much as I do – even if it is for different reasons. [Op-Ed] Why can’t I find the right phone? So – my wife and I have Verizon Wireless and our contract(s) are coming due right after the 1st of the year. We both are grandfathered into unlimited 4G plans, so as we look to replace our phones, we are considering buying off contract to preserve this precious data commodity. I have the Galaxy Nexus LTE on Verizon and as an Android enthusiast, I love it. So when I’m looking at all the new phone tech that is coming out these days, I take careful stock of it. And at the end of the day, I am stuck with one question: why is it I can’t find the phone I want to replace my beloved Galaxy Nexus? Buying the first generation of anything can pose certain challenges. And while I love my GNex, it does have some shortcomings. The screen isn’t terrible, but better screens have come out in the last year or two. Processor power and speed are always going up, and most importantly, battery life has taken a good jump forward since the GNex was released. So in my next phone, I know I want certain things: I want long battery life on LTE, a fast processor, good to great camera, big beautiful display, and an unlockable bootloader. This would normally all add up to a “Nexus” device, but Verizon will not stand for another Google Nexus product. Apparently unlockable bootloaders will bring down Verizon’s network or start the zombie apocalypse or something. So this means that I’m left with a list of slightly imperfect options that force me to choose between the lessor of all evils. After going to the various AT&T and Verizon retail stores and visiting all these phones in person, I’m torn. The Moto X and HTC One feel great in hand – both with a premium feel. The HTC One has a nice camera, but the Moto X’s camera has been universally panned by every person to review it. The One is a little bigger, the Moto X a little smaller – but the 2300mah battery on the One gives me pause, as the 2100mah on my GNex doesn’t last a full day (albeit with an older gen, dual core processor running it) and the Moto X is a little too small for my taste (and its “only” a 720p screen to boot). 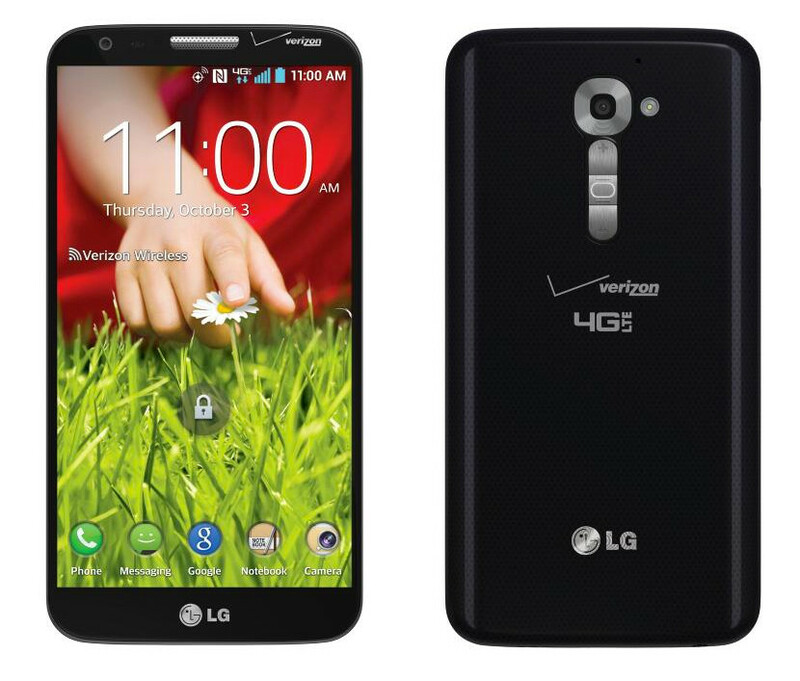 I’d really like a screen somewhere in the 5″ 1080p range, which would naturally push me in the LG G2’s direction. But with hardware buttons on the rear of the device and a locked bootloader, I’m not sure if this is really the device for me. The 3000mah battery and cutting edge specs are otherwise very attractive. The Droid Maxx is, in a word, frustrating. What on paper would seem like the clear winner is held back those annoying physical buttons (which should never appear on a smartphone, IMO) and the decision to use a 5″ 720p display panel. The Motorola X8 computing system does have some neat features (always on listening, Active Notifications) but while I’m fond of its footprint and kevlar backing, the wife informed me (her words, not mine) that “we wouldn’t be getting because it looks like an ice scraper.” While I’m not 100% sure what that even means, she’s obviously not fond of the devices overall appearance. Which leaves me back at square one again. But with the very real possibility that this next Nexus will NEVER come to Verizon, I’m circling back to the beginning again. And I didn’t even consider other devices (such as the Galaxy S4 from Samsung, which is locked down tighter than a drum from a developer standpoint) that I knew weren’t going to meet my needs right up front. Can’t these carriers and phone makers see – put out a great phone with a big, clear 1080p screen, great rear camera (with a quality 10-12MP sensor), and give it a battery that will last all day with LTE, and then let folks unlock it to let it reach its full potential. I long for that day to arrive…but I fear it will be a long, long while coming. So…yeah. I’m an Android guy. Have been for a long time, and its still my current phone. But as many already know, I DO own Apple products. Yes, even me. For all my bashing of their not really being a tech company more than a marketing company and not having had an innovation since the iPad first debuted, I do like and purchase (or ask for as gifts) some of their devices. This puts me in a unique position: to be on the outside looking in. No “iSheep” fanboiness here…I’m looking solely at how the device works best for me. And I have to be honest – I wish Apple would have left my iPod touch the way it was before iOS 7. I really couldn’t live without my iPod. For all my posturing, I love this piece of tech. It makes my daily commute more bearable and allows me to listen to my entire library of music in a small, portable package. And it has done so since they had little trackwheels and clicky buttons. And when I got my latest iPod touch (see my review here) I was elated. And recently, when I heard about the upgrade to iOS 7, I figured “why not?” I was actually a little interesting in getting a chance to play around with it, and I’d seen the early release photos of what it was supposed to look like as well. But the reality did not match the idea I had of what the experience was going to be like in my mind. First off, lets get the obvious out of the way – the colors are hideous. Flat out annoying. And standardized icons have been changed (along with some of their names) to boot. Which (for me) means that after downloading and launching it for the first time, my first thought was “did something go wrong with this install?” Because things sure look and feel off around here. Folders no longer look like folders, but more like grey blobs in which other, more colorful blobs reside. Facetime was moved out of the folder blob where I had placed it, and it was now front and center on my home screen. Really, Apple? Okay, okay – maybe I’m being overly critical you might say. The colors don’t look that bad. And haven’t you been saying that iOS is tired and could use an update? Yes – perhaps all of these things are true. But there’s tweaking and there is radical redesign; this is the latter. And not all change for the sake of change is good. Just because I don’t like it doesn’t mean others won’t either…but as with most things Apple, you don’t get a choice. With my Android phone, if I don’t like how the stock look and feel of things is, I can install a custom launcher and then choose from dozens (if not hundreds) of other icon packs, themes, and other such to change it over and over and over again until I find something I like that works for me. Rather than the “Apple tells me that I will love it” (whether I love it or not) approach. My annoyance with iOS 7 is more than skin deep however. There are other relatively minor changes that are puzzling too. For example, on iOS 6 one of the features I used most was a double button press to wake the screen which, if your last activity was playing music, would wake the iPod to the music player and allow you to play the current or next track with just a single additional tap on the screen. This is gone in iOS 7, now replaced with the double button press taking me to the lock screen and asking me to swipe to unlock, then pressing again on the music player to start my track playing. While not important to some, this is one of the main features I used with my iPod, and now it takes longer to get my music to play. Perhaps this has something to do with more security in this version of iOS, but honestly, its more irritating than anything else about the operating system to me. Hey, its not all bad – the Control Center feature (accessing your settings from a single contextual swipe up menu from the bottom of the screen) is useful and actually decently implemented. Not something radically innovative again, as this “feature” (in various forms) has been in versions of Android for a while now, but at least it was well thought out. The new animations for things opening and closing/launching is neat, but hardly something I would hang my hat on if I was touting the merits of the overall operating system. The sorting of pictures (excuse me, Photos) into Collections and Moments is long overdue, and a vast improvement over the glut of photos en masse in Camera Roll – but again, this is something that should come as the icing on the cake, not the cake itself. And all these changes come at a price – even my less than 1 year old iPod touch (5th gen) stutters and lags a bit when performing routine tasks. I can’t imagine what the new iOS its doing to owners of iPhones from the 3S-4S range. Most of the changes seem forced, copies of other operating systems innovations (the tabbed multi-tasking or Safari tab switchers come to mind immediately) or fall into the catagory of just plain “why haven’t we had this until now?” I think that Apple’s leadership realized that they needed to make a big splash with something and they were counting on iOS 7 and the new iPhone 5S/C to do just that. Well, maybe just the iOS 7 and 5C since the 5S (as usual) is mostly just a spec bump and a new gold color chassis. For my money, I’ve been thinking more and more often how I wish I had my old drab looking iOS 6 look and feel back. At least with it, I knew where everything was. If you have, thanks for sticking with us. If you left, well…you’re always welcome to come back anytime!